Presently, M. Absar Lebeh (guitar/vocals), Rekti Yoewono (bass), Pratama Kusuma (drums/vocals) and Marshella Safira (vocals) may be thinking of new projects or new shows to do with their original bands: The Slave, The SIGIT, Sigmun and Sarasvati, respectively. Those are some names, enough to propel their collaborative offshoot Mooner into the limelight of abrasive rock music in Indonesia. 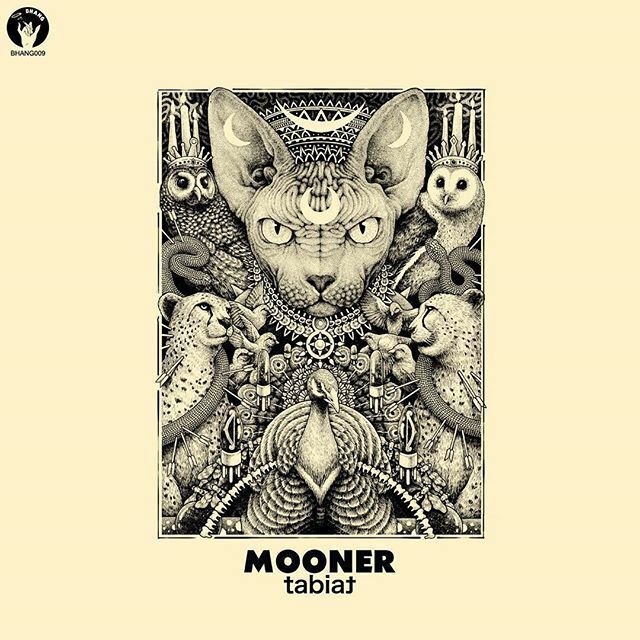 Name-dropping AKA and Panbers, Mooner are set to release a 12-track debut LP titled Tabiat, out on April 20 via Bhang Records. With the band's collective pedigrees, it's hard to imagine why Tabiat isn't one of 2017's most anticipated LPs. Tabiat is a cassette/streaming/CD release.